People in China are, by now, well used to the Chinese Communist Party (CCP) placing restricting on almost every online activity they are not able to control themselves. But in general, they have not objected to people finding ways to make money online. 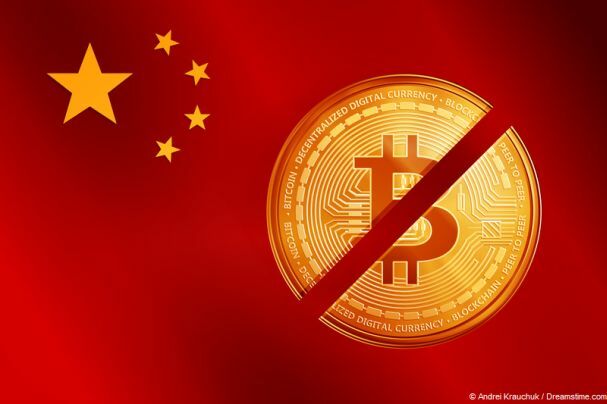 Until now that is, because it has emerged this week that the CCP is taking steps to block access to international cryptocurrency exchanges and stop people trading and investing in Bitcoin and other such online currencies. China has a booming online economy and as long as businesses play by the CCP rules and submit to their censorship and surveillance demands, they have been allowed to proceed. This is at least in part because the CPP’s grip on power in China is now rooted far more in their economic success than any communist principals they once held dear. But the CCP will always draw the line at things it cannot control and that appears to be the problem they have with cryptocurrencies. There was a time when China was a hotbed of cryptocurrency exchanges. These local exchanges have already been banned by the CCP back in September 2017 and their activity swiftly moved offshore to places like Hong Kong, Singapore, Taiwan, and Japan, where such entrepreneurship is not hampered by an authoritarian regime. But that hasn’t stopped Chinese people from getting in on the Bitcoin bubble via international exchanges. Indeed, there has been something of a Bitcoin-mania sweeping China in recent times with a surge of investors seeking to invest as its value soared. Inevitably this caught the attention of the authorities. The huge popularity of Bitcoin in China was seen as a problem given the volatility of prices (as has been seen particularly in recent weeks, with the value of Bitcoin dropping dramatically). There were a number of high profile fraud cases involving cryptocurrencies and, most worryingly of all the CCP, concerns that significant social unrest could be an eventual result. As recently as Saturday, there were reports that the founder of an ICO project called ARTS, Jiang Jie, had been forcibly taken to the Beijing municipal financial bureau by angry investors who claimed that he had committed fraud after the value of a cryptocurrency he launched dropped to 0.13 yuan just two weeks after being valued at 0.66 yuan at its ICO. This incident and other similar ones appear to have persuaded the CPP to once again go down their tried and tested route of simply blocking access to international cryptocurrency exchanges. The impact of this latest example of online censorship has already been felt across China. Advertisements for cryptocurrencies can no longer be found on the country’s biggest search engine, Baidu. They also appear to have disappeared from social media site Weibo too. With international exchanges no longer accessible on a normal Chinese internet connection, many people will be looking to find other ways to access them if they want to invest in cryptocurrencies or indeed to manage their existing cryptocurrency investments. One Chinese cryptocurrency trader, Donald Zhao, who is now based in Tokyo, explained to the South China Morning Post how many traders like him are likely to get around the new ban. VPNs are already extremely common in China as many people use them to access the millions of regular websites that are already blocked by the CCP for refusing to comply with their censorship and surveillance regimes. With local exchanges moving overseas last year, their use to allow continued access to those has grown markedly. This latest move is likely to see an even bigger spike in VPN use amongst cryptocurrency traders in China. Of course, China is, of course, planning to ban unauthorised VPN use across the country next month too. It remains to be seen how effective that ban will prove, but at the time of writing there are still plenty of VPNs working in China and many will do everything they can to stay online after the ban comes into force.